With so many new GSM network services cropping up in India, sometimes one can forget that CDMA technologies still do exist. 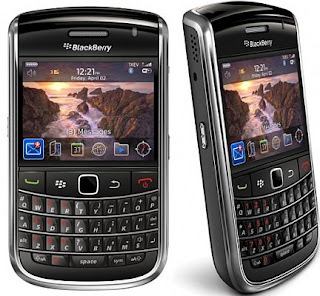 For BlackBerry users on CDMA networks, RIM has launched its top-of-the-line handset - the Bold 9650. An upgrade to the Tour 9630, the Bold 9650 brings in the optical track-pad in lieu of the trackball that used to be a symbolic element of yesteryear BlackBerrys. Second, the screen size is minutely increased by 0.04-inches, now measuring 2.44-inches but has the same crisp 480 x 360 pixel resolution. The internal memory has been doubled from 256MB to 512MB in this model, thus ensuring that BlackBerry spankin' new OS 6 runs smoothly. Wi-fi support that was missing in the Tour has been added in the Bold 9650. There's a GPS chip as well. The camera is still the same 3.15 mega-pixel sensor, which is somewhat disappointing since most high-end phones these days sport at least 5 megapixel sensors. But there's image stabilization for countering those shaky hands, auto-focus and an LED flash. Now the two things that are really interesting about the Bold 9650 is its ability to run on GSM networks as well. Secondly, not only will it be 3G ready when it launches in India by next year, it is compatible with the already operational CDMA-variant of high-speed internet services (dubbed EV-DO) in the country. This is the same technology that powers Tata Photon or Reliance NetConnect+ that give up to a theoretical 3.1 Mbps access. Pricing details have not been revealed but we can only guesstimate it mostly being on or above the Rs. 25,000 mark.